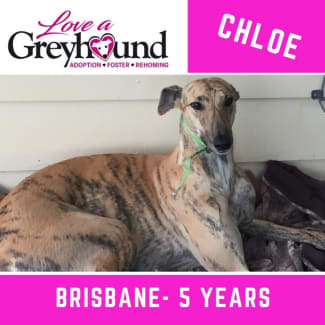 Love A Greyhound Inc is a registered not-for-profit Greyhound Adoption, Foster & Rehoming Charity located in South East & Central Qld. 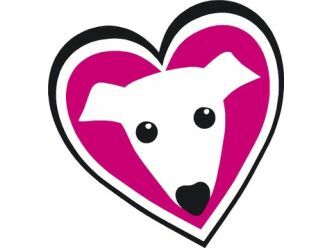 We are solely run by dedicated Volunteers who are passionate about Greyhounds As Pets. Person interested in fostering/adopting can contact us by phone, email or submit an enquiry online via our website. 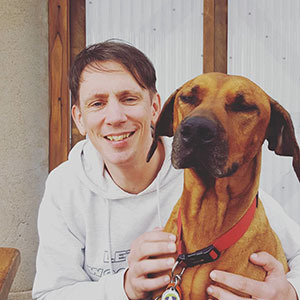 Information on their family, on their current pets, children, fencing and where the dog will spend time etc. We will then proceed to contact them to discuss a suitable dog if any. A yard check and meet and greet will go ahead if suitable candidates. 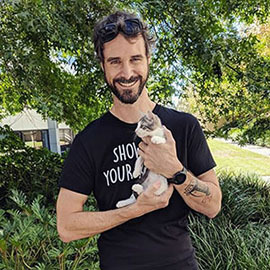 Adoption fee and agreement form will be signed. Twixy has been living as a pet for 21/2 years and is looking for a new home. Chloe has been living as a pet for 2/12 years and is a very chilled girl looking for a new home. 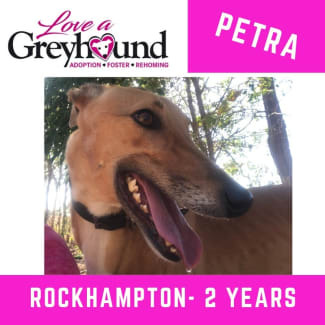 Hello everybody, My name is Petra I'm a Rockhampton based girl and I'm looking for my furever home. 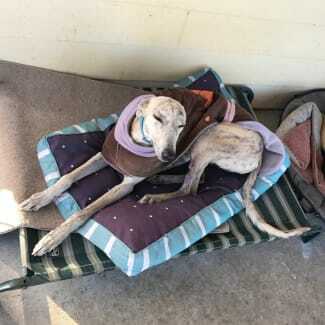 I can catch a ride to Brisbane to find my foster or my forever home. I'm 2 years old, very smoochy and would benefit from someone who is home more so then at work. I am just a sweet little one. 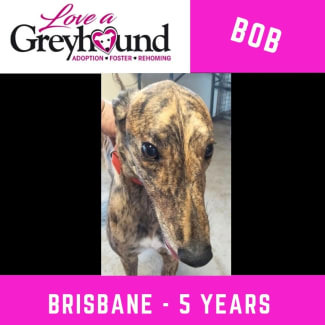 Bob is a 5 year old brindle boy requiring foster care. 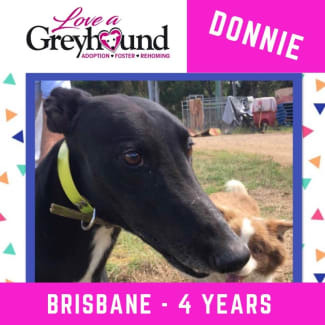 Donnie is a 4 year old black boy who loves people and is a very loyal boy. He gets along well with a border collie.